Released in 2016 as part of the 150 year celebration. Oakley Silicon Bark Trucker Print 2.0. Model: Silicon Bark Trucker Print 2.0. Material: 100% Polyester. Colour: Black. Stretch Fit. New Under Armour JS Tour Golf Cap. UA logo on the front, UA golf on the left side. Style: 20873189. Fit: Structured. Size - M/L. 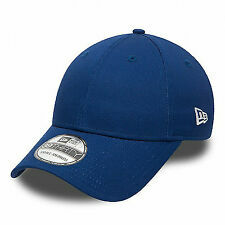 STRETCH FLEXFIT FITTED CAP. 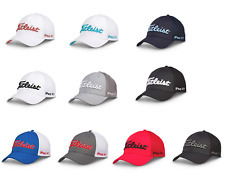 6 panel darted flexfit cap. Flexfit is constructed with spandex throughout a fibre that maintains comfort. 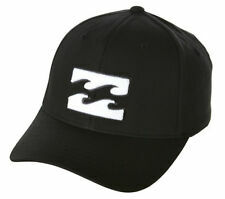 White Billabong front 3D embroidery. Billabong wording embroidery at the rear. Oakley Cresting Driver Golf Cap. Model: Cresting Driver Golf. Embroidered Oakley Icon. Colour: Jet Black. Stretch Fit. Material: 100% Polyester. 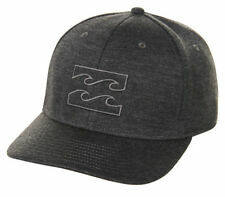 (Embriodered Billabong logo on the front. Billabong wording embriodered on rear. Curved Peak. STRETCH FITTED CAP. 6 panel design. 55-57cm head circumference). By YUPOONG. Macleod Scotland. Flexfit M-XL. Base colour Black with. Embroidery stitching and colours strong and bright. Rusty Vintage Early 2000's Peak Adjustable Cap. Never Used Like New! NACAP APLNG Pipeline Project 2012-2014. Macleod Scotland. 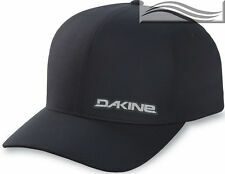 The Dakine Delta Rail is the ideal ballcap on land or water. Constructed of anti-bacterial quick-dry stretch polyester, and using unique bonded seams, the Delta Rail is a very comfortable hat that isn't afraid of getting wet.